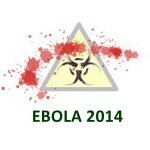 The current Ebolavirus epidemic in West Africa refuses to go away. No matter what we throw at the virus, it stays one step ahead and continues its destructive course through impoverished rural communities. There have been successes, but recent reports from the World Health Organization have been guarded. The optimism that set in after Liberia declared its hard won disease-free status in May, has given way to more sombre warnings. The reason for this new-found pessimism can be found in new cases occurring over an expended area. During the last week there were 24 confirmed cases, slightly lower than the 27 reported in the previous week. These occurred in Guinea and Sierra Leone. Between 2nd and 14th June there were 76 confirmed cases, 69 (91%) of which were from just three prefectures in Guinea and two districts in Sierra Leone. Most of these were from identifiable sources or contacts, but 14 had no known source. Effective management of these unknown source cases is essential before a target of zero new cases can be achieved. In March, one year after outbreak recognition, the WHO reported 77 operational field sites, more than 700 staff in three countries with continuing transmission. The epidemic officially ended in Liberia on 9th May. But after a 10 month low during the week ending 20th May, the Ebola epidemic started to increase in both intensity and affected geographic area. On 3rd June 25 new cases were reported, on 10th June 35 new cases (revised to 27 the following week), and on 17th June 17 new cases. It is clear that the epidemic is far from over. Vaccines – 8 candidates under development. Not expected to be available for general release until the end of 2015. The low number of Ebola cases is an obstacle to the final (phase II) clinical stages of evaluation. Progress has been made in a short time frame. It is vital that this concentration of effort does not dissipate before the West African Ebola epidemic has been brought to an end.